Call of Duty: Black Ops Declassified will be out this November, Sony said today. It will have four-on-four multiplayer, Team Deathmatch modes, and other Vita-exclusive content. 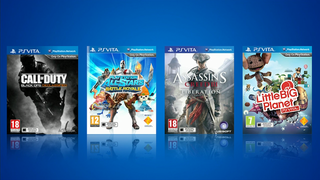 Sony will also sell bundles that feature both the game and PlayStation Vita systems. Developed by the team at Nihilistic Software, Call of Duty: Black Ops Declassified is what Call of Duty fans have been waiting for: the game they know and love, authentically translated to handheld. "One of Call of Duty: Black Ops Declassified's compelling features is the fact that you can take the established gameplay everyone knows and loves and bring it to the PS Vita," says the game's producer at Activision, Neven Dravinski. That means you can look forward to familiar elements like Create-a-Class, Perks, Prestige Levels, and of course, dual analog stick controls. Black Ops Declassified's single-player campaign offers covert missions that help bridge the story gap between the original Call of Duty: Black Ops and the soon to be released Call of Duty: Black Ops II, while the multiplayer offers mayhem for up to eight players over Wi-Fi connections. "We'll have a variety of game modes and maps, including some that are custom made for PS Vita and others that leverage fan favorites from the Black Ops series, but tailor made for PS Vita," explains Dravinski. Multiplayer game modes include 4v4 Team Deathmatch, Kill Confirmed, and Drop Zone, but Dravinski says there will be other modes as well. Nihilistic are the developers of Resistance: Burning Skies, a Vita first-person shooter that, sadly, wasn't very good. Earlier this year, a leaked promo for Black Ops Declassified revealed that it will be a new, Vita-exclusive story within the Call of Duty: Black Ops universe.